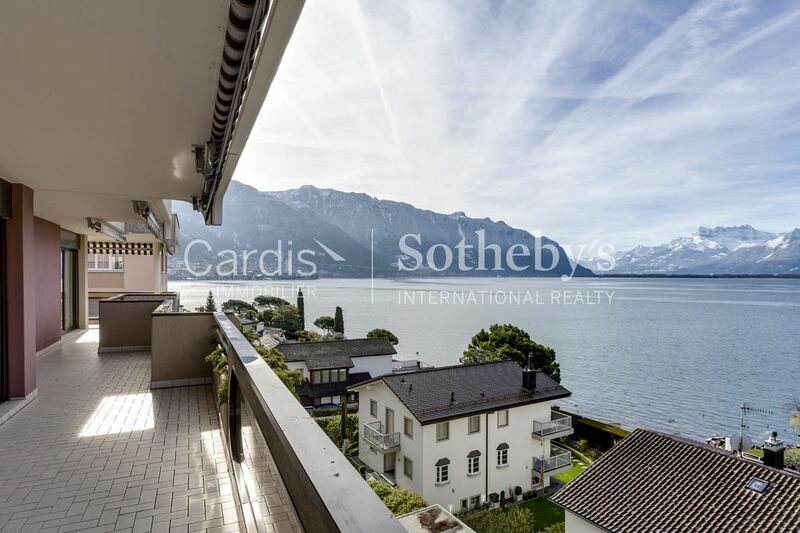 Cardis SA - Montreux - Penthouse located near of the lake docks, breathtaking view ! 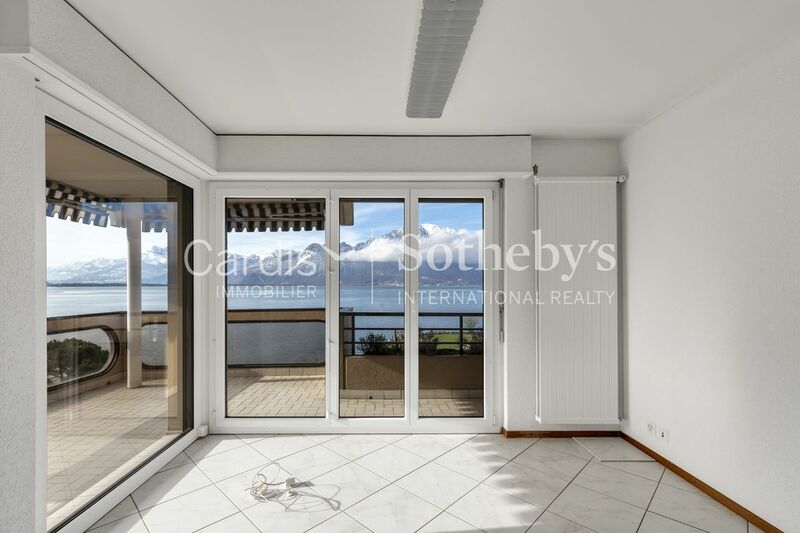 Penthouse located near of the lake docks, breathtaking view ! 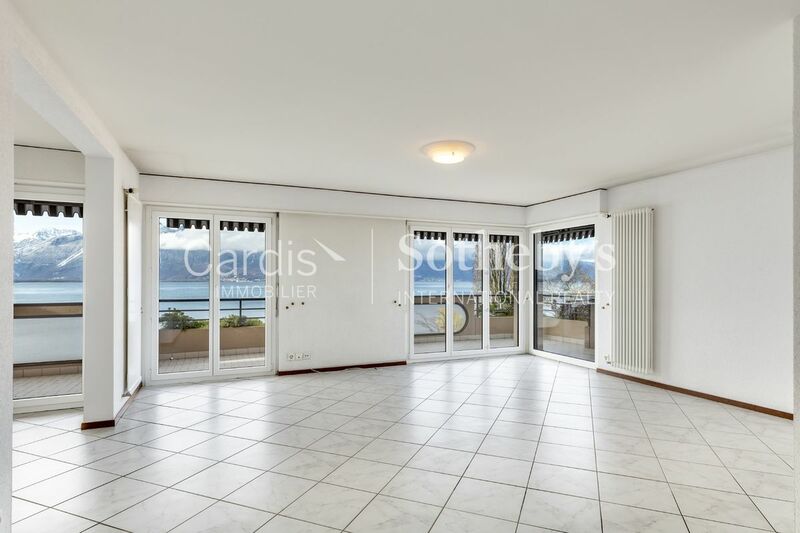 Built on the top floor of a residence located on the shores of Lake Geneva, this 5.5 room apartment benefits from a prime location. It is located in the heart of Clarens, only a few minutes from downtown Montreux, a festive city renowned for its many cultural events and gentle lifestyle. 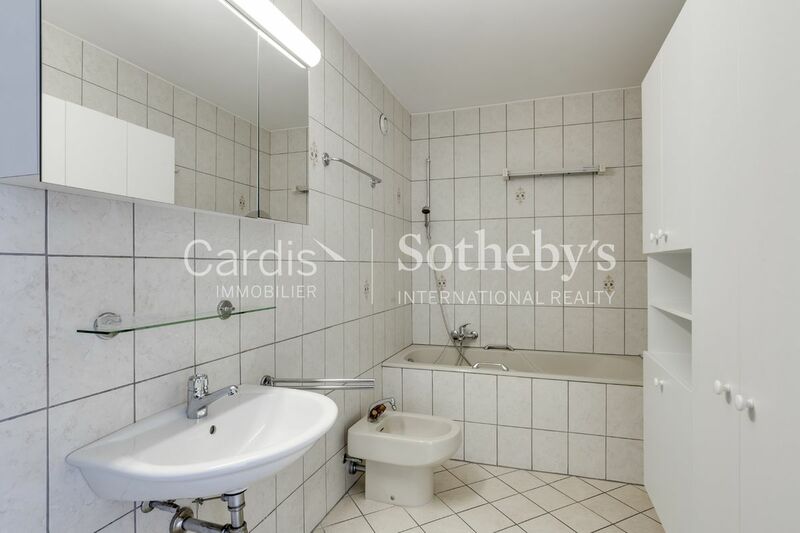 All amenities and public transport are in the immediate vicinity. 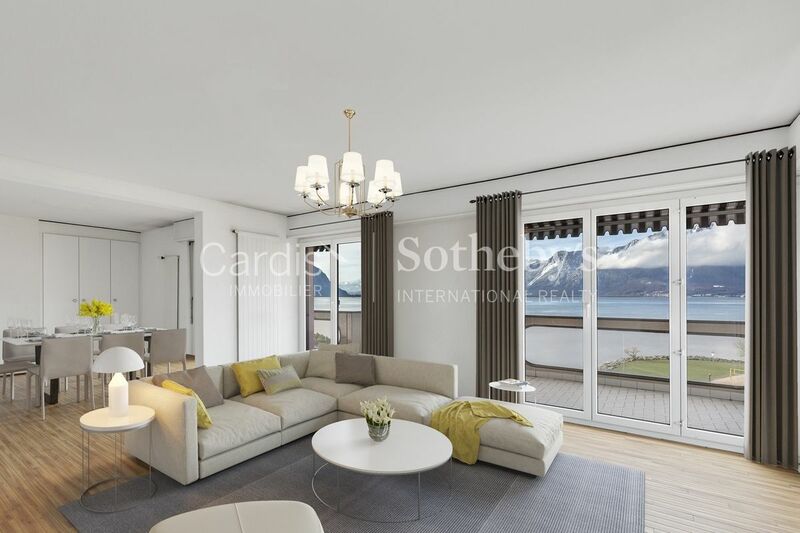 This penthouse of 122 m² has generous living spaces. 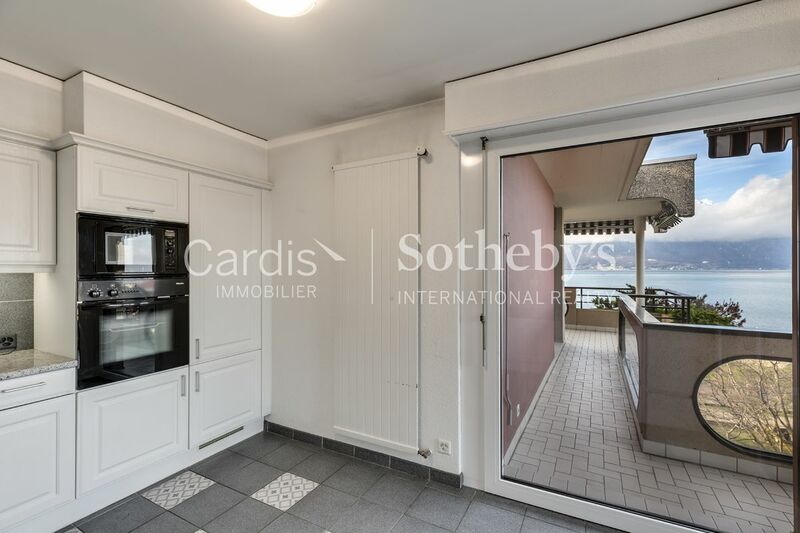 A large 53 m² balcony surrounds this property and will allow you to enjoy the most splendid views possible. 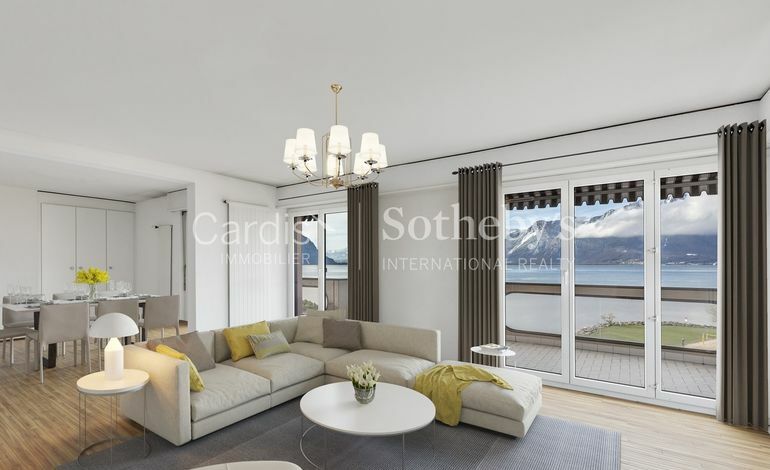 Its orientation and layout will provide its future inhabitants with a great tranquility and an incomparable living environment. Its large bay windows give it optimal light. 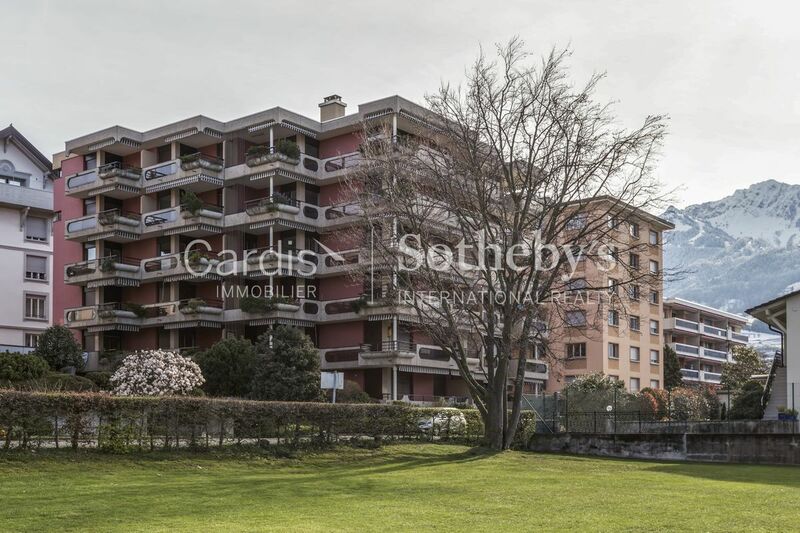 Built in 1978, this apartment has been regularly maintained over the years. However, the bathrooms require some refreshing work to bring them up to date. 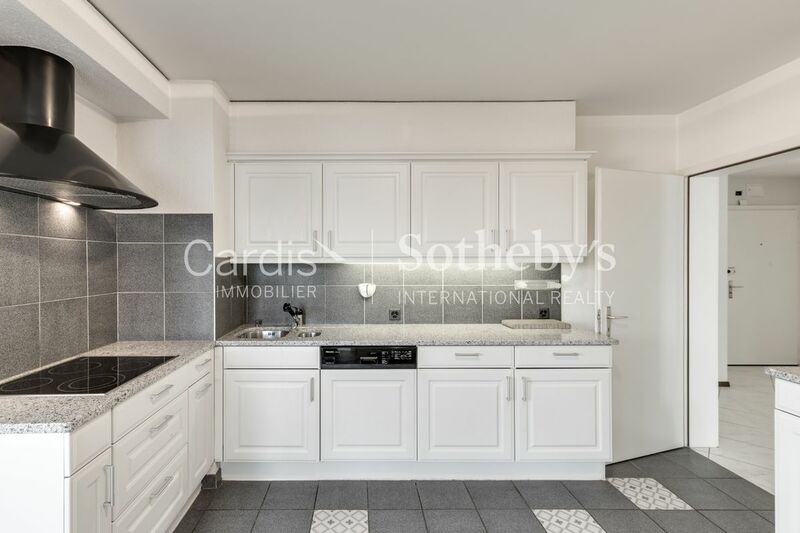 Currently composed of 3 bedrooms, it would be quite possible to restore this property to its original configuration, namely 4 bedrooms. 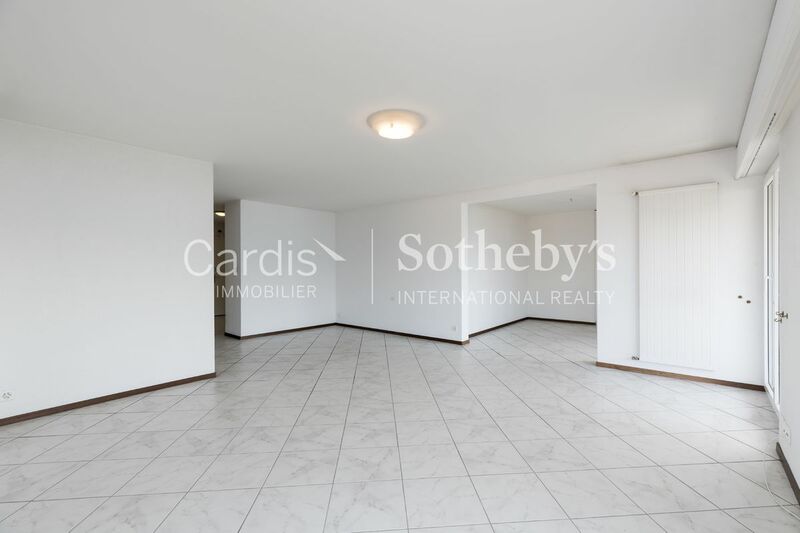 A large cellar and an indoor parking space complete this superb apartment. 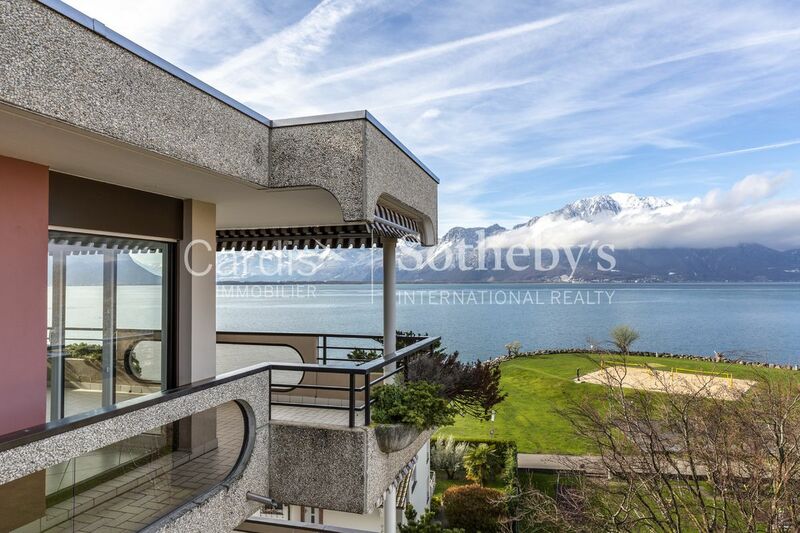 Available for sale to non-residents of Switzerland (LFAIE).